Have you visited the eClassroom lately? It's getting stocked full of lots of great short videos and classes...and there is more coming in 2013! Last week, Donna-Marie shared a free class video on creating a sweet memory box using a tiny chipboard box from Maya Road. In case you missed it, you can watch the video here. This week we're excited to announce another FREE class and project, created and produced by Donna-Marie! 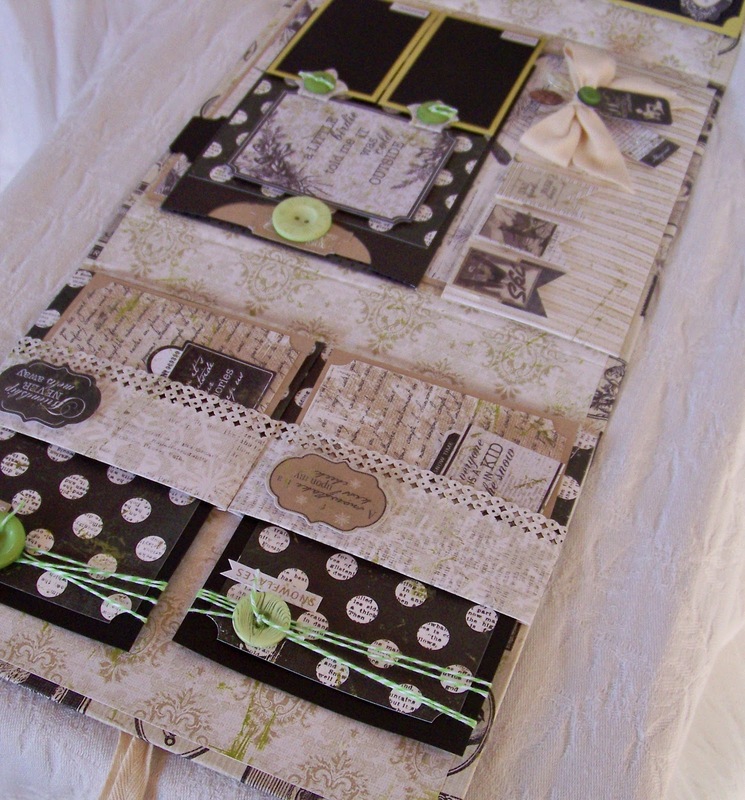 Donna-Marie's new class demonstrates how to craft a one-of-a-kind boxed calendar set using the Graphic 45 Place in Time paper collection. 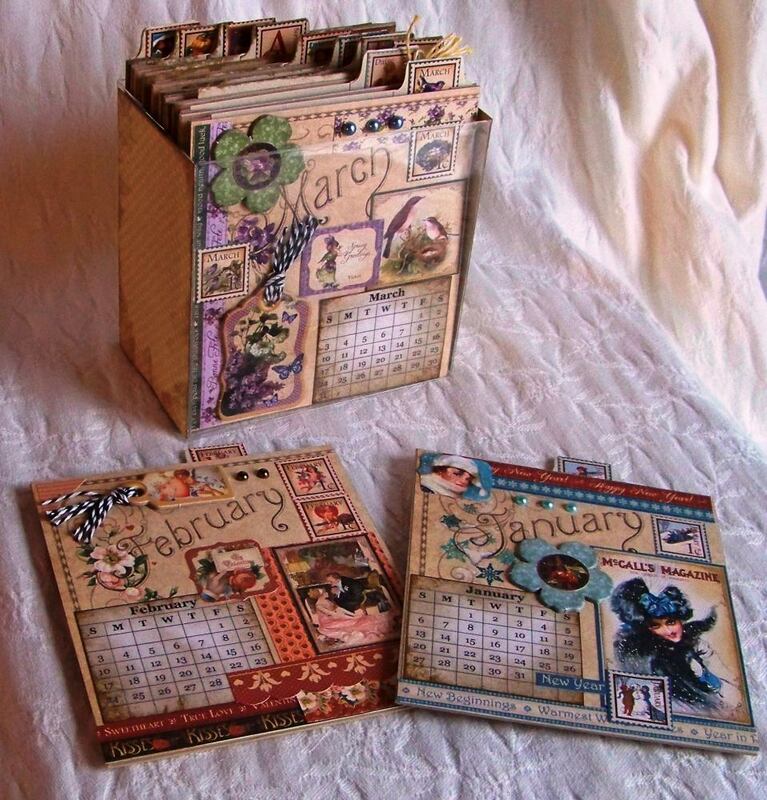 This calendar utilizes the 8x8 paper pad and is the perfect size for displaying on one's desk. A great project for yourself or to give as a gift! Also, in the eClassroom this week, yours truly created a short photo video tutorial of my mini, mixed media JOY banner project. This is a quick and fun project that I created using paper from October Afternoon, sticky back canvas, Claudine Hellmuth paints, and embossing paste from Wendy Vecchi. Lastly, a reminder on our Peaceful book making class....This is an amazing class, produced by Donna-Marie, that features products from Authentique. During this class, which costs only $9.99 (for over an hour of class time and two videos! ), you'll learn how to make your own handmade book out of chipboard and paper. This book includes special tags, pockets, and lots of opportunities for photos and journaling. A class kit is available for the book making class as well! This week you can save 15% on the Peaceful class kit! Discount already noted in the store. Enjoy all of this week's video classes and be sure to visit the eClassroom often as we continue to add to our class offering! I know this is an older class, but I would Love to make this. Are the directions still available? When I click to buy anything, there is nothing there. Thank you.